Visitors to the Fire Escape may be keeping track of my list of reasons to write for kids. (FYI or to refresh your memory, here are reasons #1, #2, #3, #4, #5, and #6.) 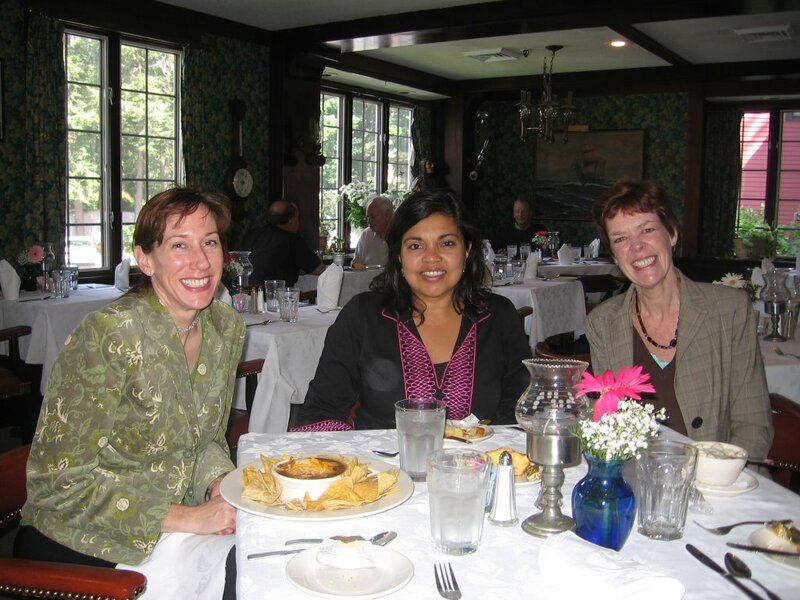 During a recent three-day tour with Charlesbridge publicity director Donna Spurlock and editor Judy O'Malley (lunch included, as evidenced in the photo), I discovered yet another reward of writing for children: the opportunity to connect with independent booksellers, commonly known as "indies." 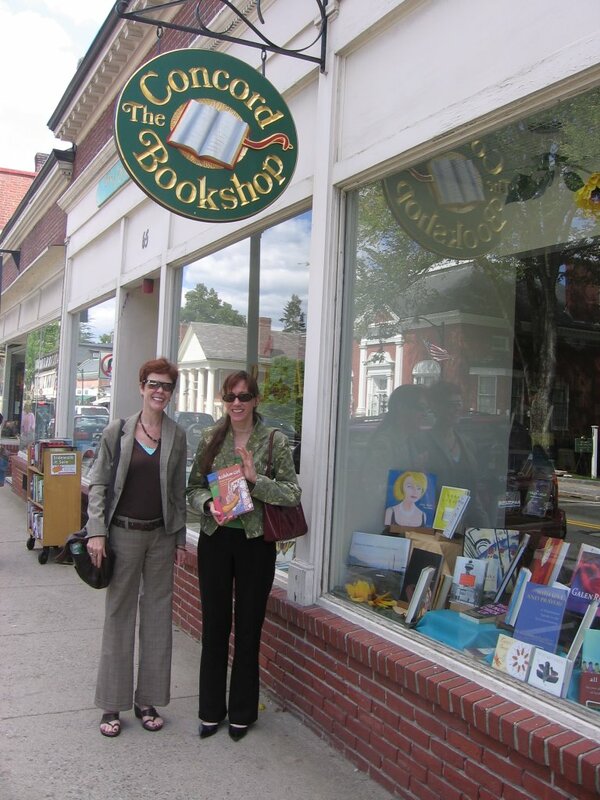 Concord Bookshop (pictured below), where we were greeted with words of gratitude for Monsoon Summer and a delighted anticipation over the publication of Rickshaw Girl that encouraged me thoroughly as I crawl back into my writer's cave. In each place, Donna, Judy, and I marveled at the culturally-suited architecture, thoughtful decor, and imaginative display strategies. 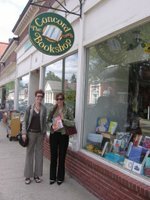 Everywhere, we met staff who are passionate about providing fun and transformative literature to young readers. As they've shown time and again, neighborhood handselling has the power to set nationwide trends that's beyond the capacity of the chains. So, as we head to the New England Booksellers Assocation's Trade Show in Rhode Island this Friday night to banquet with a table of no-brand-name booksellers, here's a Churchill-esque cheer for the independent, budget-battling baristas of the book: "NEVAH GIVE IN! NEVAH, NEVAH, NEVAH, NEVAH ..."